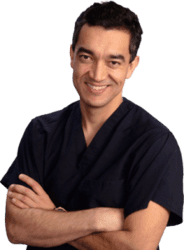 Trust your mons pubis lift procedure to the best-reviewed plastic surgeon in Pittsburgh, PA.
Changes in weight may favor redundant skin and fat deposits to the pubic area. This procedure is performed under sedation and local anesthesia. It is usually completed in 1 hour. The usual recovery time is 1 week. Looking for a Mons Pubis lift surgeon nearPittsburgh, PA or Wexford, PA? Dr. Clavijo at ReNova Plastic Surgery will lift the fallen pubic area, to help bring back a more youthful figure.The average price for a Mons pubis lift near Pittsburgh ranges from $3,000 to $4,500. What is a Mons Pubis Lift? A mons pubis lift, also known as pubic lift, is the removal of excess fat and skin to the mons area. This procedure will improve the contour of the pubic area. The procedure is done in an accredited AAAASF and state certified facility. It is done under sedation and local anesthesia. The duration of the procedure is about 1 hour and it is done as an out-patient procedure. Do I need to have my stitches removed? The answer is yes and no. When doing your Mons Lift, we will use absorbable stitches. Sometimes we need to leave drains which are secured with permanent stitches. How is the recovery after my pubic area lift? The typical cost for Mons pubis Lift near Pittsburgh, Pennsylvania ranges from $3,000 - $4,500.